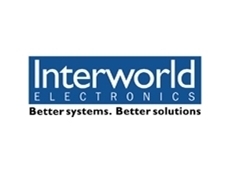 Interworld Electronics has released FASTCOMFSCC adapter. The FASTCOMFSCC is one of the advanced synchronous communications adapters present in the industry. The FASTCOMFSCC also has rapid supporting data rates up to 50 Mbits/s. 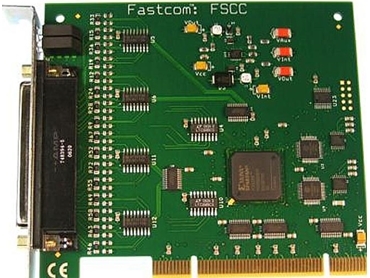 The FASTCOMFSCC is a dual channel RS-422/485 adapter, with each channel being individually configurable to use HDLC/SDLC, ASYNC (using 19c950 UARTS), or X-SYNC protocols. Although similar to the ESCC and SuperFastcom families of adapters, the FASTFSCC expands on these previous adapters. Designed to comply with the new PCI specifications, the FASTCOMFSCC Universal PCI (PCI version 2.3) adapter will operate in both 5V and 3.3V PCI slots. This means the card will work in the high-speed PCI-X slots commonly found in many new servers, as well as the standard PCI slots in desktop PC's. This flexibility allows for a single serial interface board to be used across a wide range of computers including both current and future computing systems. The FASTCOMFSCC has been designed to eliminate obsolescence. By designing a serial communications controller to meet customers' needs and building a card around FASTCOMFSCC, Commtech has put an end to the lifespan concerns that plague computing customers. Wholly designed and owned by Commtech, Inc, this FPGA-based SCC has features that customers are used to seeing in a quality Fastcom product. FASTFSCC also includes a few new features that come directly from customer requests. If the existing FPGA technology is ever discontinued by the chip manufacturer, the design can be re-targeted to the next generation of FPGA chips with no impact on compatibility. Software drivers and example programs are included for Windows 2000, XP, 2003, 2003 64-bit, and Linux kernels 2.4 and 2.6.